Conveyor width is measured in two ways; overall width (OAW) and between rail width. 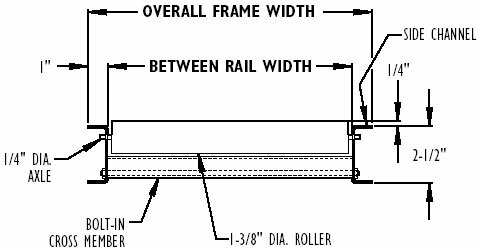 Overall width includes the width of the frame, which is 1" on either side of the rails. 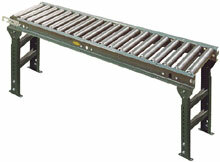 This means that the between rail width would be 2" less than the overall width of the conveyor. Keep this in mind when determining what width of conveyor you need to meet your package requirements.